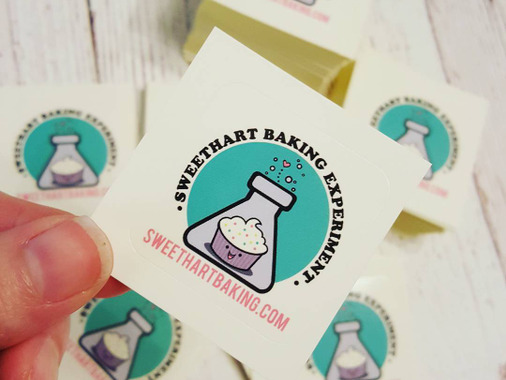 I received my first batch of stickers for my sugar cookie packaging, and I absolutely love them! I got the Art Stickers, glossy finish, on 1.5" rounded squares. The print quality is top notch, the colours are vivid, and they are perfect for adding that professional touch to all my packaging. They are on handy squares of paper backing too, so I can take them with me when I'm doing local markets and hand them out to people - a very economical advertising opportunity at only pennies a sticker. I've already ordered another 7000 stickers!